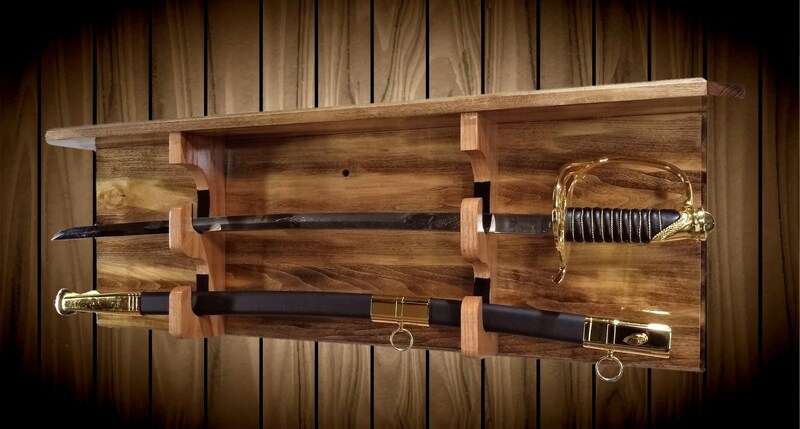 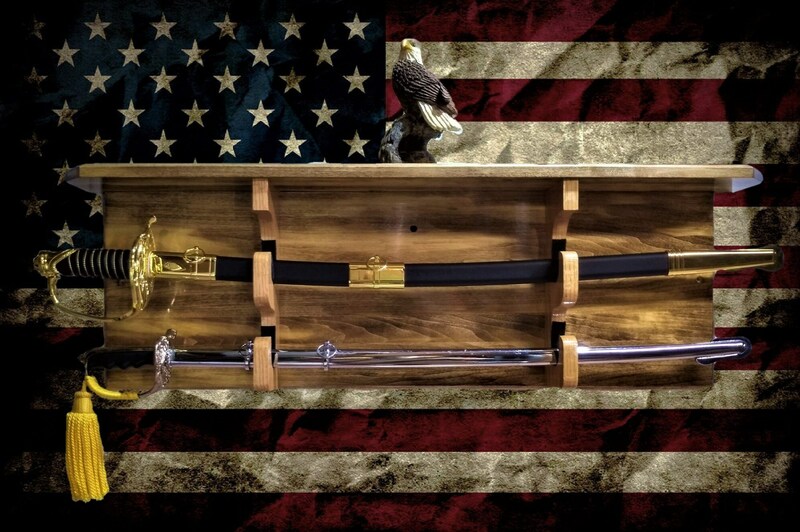 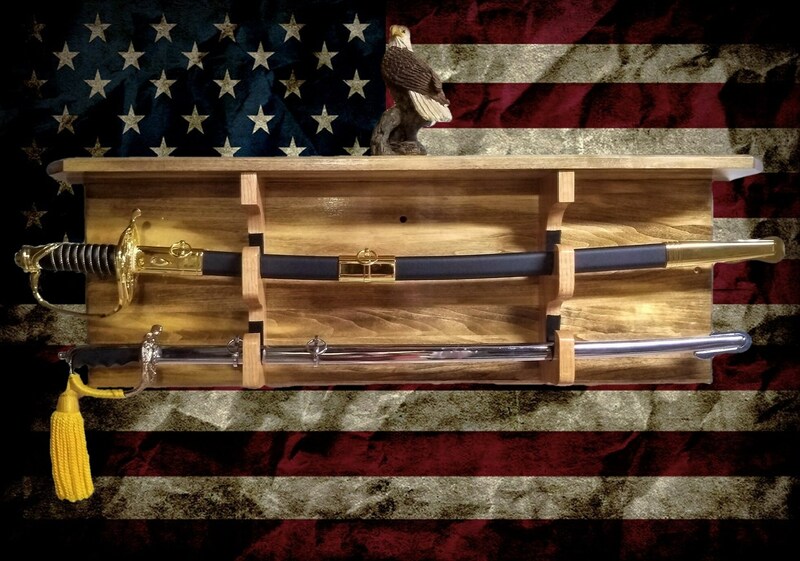 A Beautiful, Military Sword Display Rack. 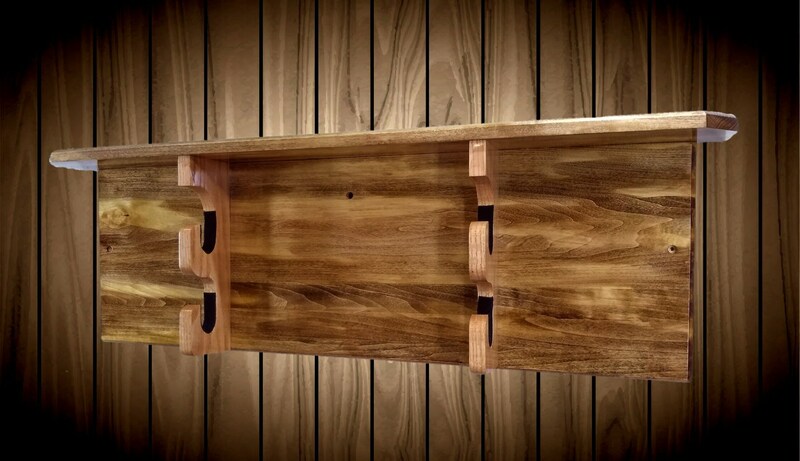 Custom Oak Holders with A Nice Traditional Shelf. 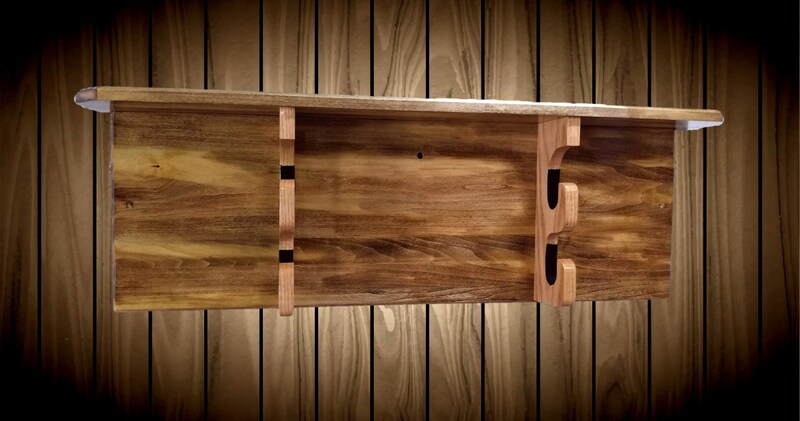 Aspen Wood Tone Finish Back And High Gloss Finish. 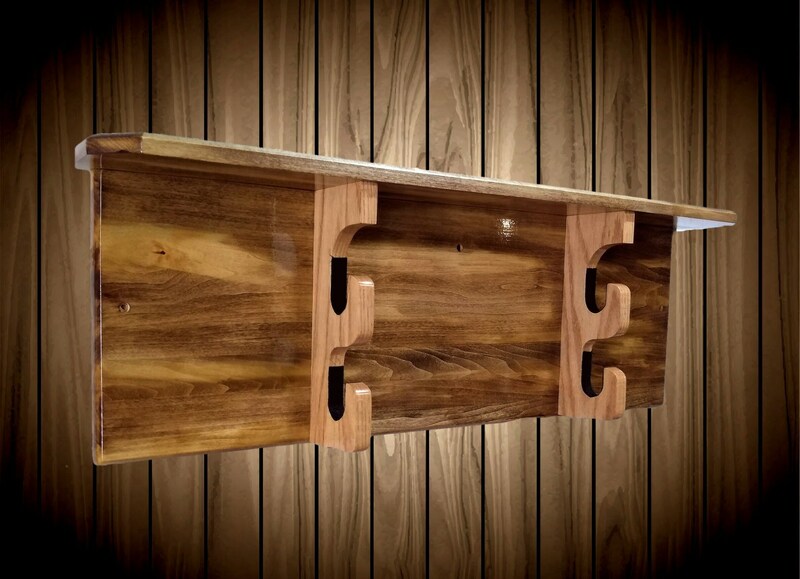 • Beautiful 3 Tone Stained Wood.